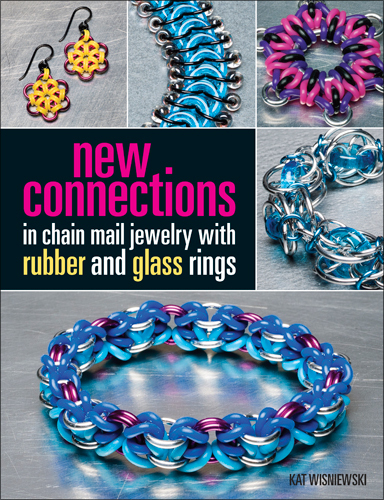 My chain mail book, New Connections, is my first book with 25 projects that focus on sparkling glass and flexible rubber ring chain mail projects for the advanced beginner through advanced student! 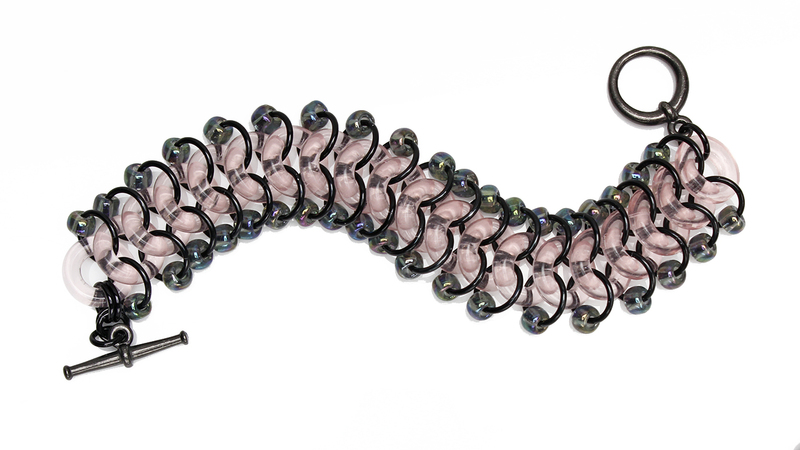 Readers will learn new techniques that move beyond traditional chain mail weaves and patterns. 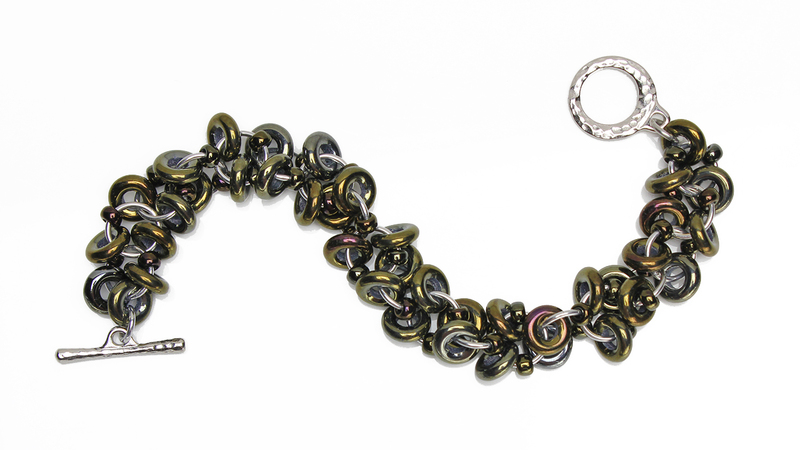 The wide variety of colors and projects, including necklaces, pendant, bracelets and earrings, will be exciting for jewelry makers at every level. BUY IT NOW from other companies online, such as Fire Mountain Gems. Be the first to know about all the New Connections events, classes, news, tips and tricks and more by joining us on the book's Facebook page!